This entry was posted on October 23, 2012 at 12:31 pm and is filed under Banks, Credit Unions, Financial, Household Finances, NH Economy, Recession. You can subscribe via RSS 2.0 feed to this post's comments. Do you have statistics/information about whether the (smaller) credit unions are able to keep pace with online security requirements, as compared to the large(r) banks? I don’t have any information or data on that. 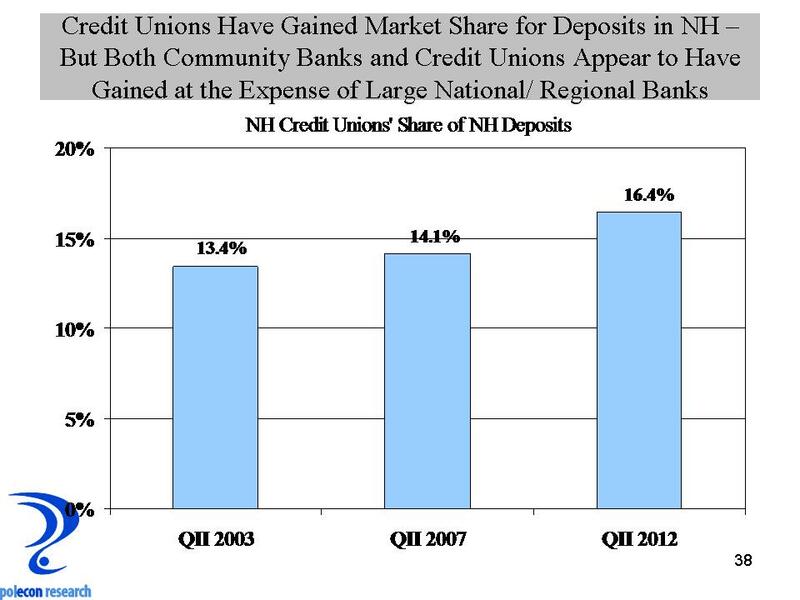 The growth of CU’s seems to be increasingly concentrated at a few large institutions in each market. 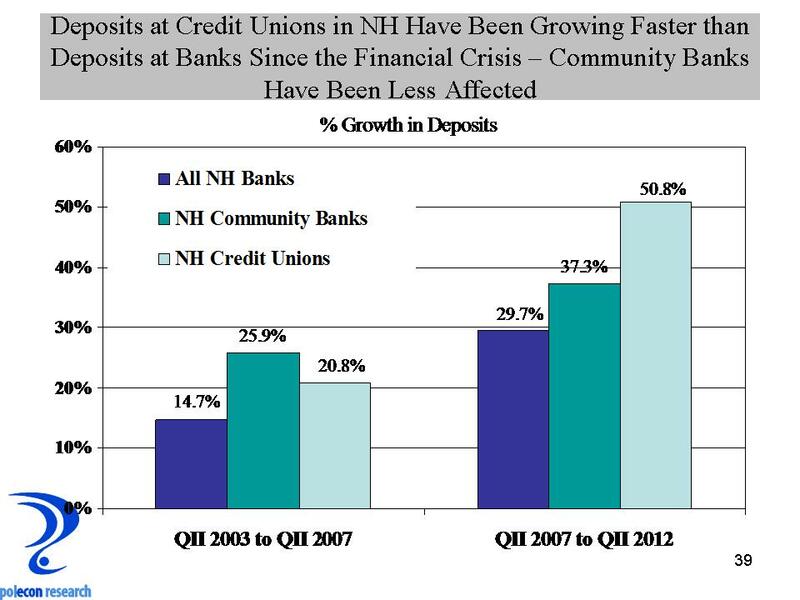 A cursory review of some of the larger institutions in several states suggests a much greater level of sophistication and breadth of services (including online) than most smaller CU’s. It may be inaccurate but my assumption is that the broader, more sophisticated services they offer is matched by their more sophisticated security efforts but I have more anecdotal than empirical support for that assumption.